Do you ever wish there was a place you could do all of your holiday shopping at once? Then let me direct you on over to the BulbHead website. It's chalked full of holiday gift giving ideas for the entire family. Like the Red Copper 5 Minute Chef, it's been on my list ever since the first time I saw it on an infomercial. I've seen first hand how awesome the Red Copper line of pans work and knew this would be an awesome addition to my kitchen if I could get my hands on one. Well guess what? I got my hands on one and just check out this awesome omelette I made with it! I was absolutely amazed when I cooked up this tasty breakfast for myself. It honestly took me longer to chop everything up to put in it than it did to cook it! And it popped right out when it was done thanks to the non-stick surface. The revolutionary electronic meal maker cooks your meals in just minutes. 5 Minute Chef has two deep wells that cook the top and bottom of your food simultaneously. This copper infused ceramic cookware has a non stick surface so your food just slides out. And the scratch-resistant copper can withstand use. You can cook your meal and cut it in 5 Minute Chef and the surface won’t scratch. 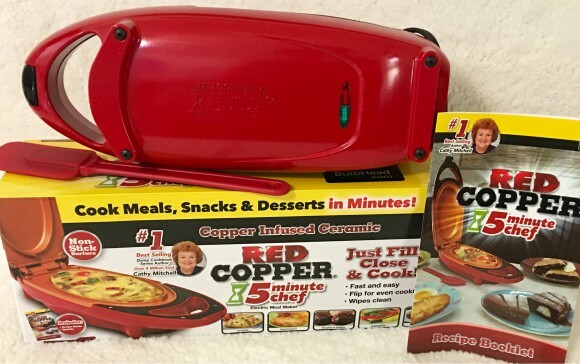 Home cooked meals and dump meals are easy with Red Copper 5 Minute Chef! Oh and did I mention there's even a section filled with Christmas decor? Like the Star Shower Slideshow that I've been begging my husband for every year since they came out. I know, I know I do alot of wanting..but that's what the holidays are all about right? Covering up to 3200 square feet it's the only outdoor decor you'll need! 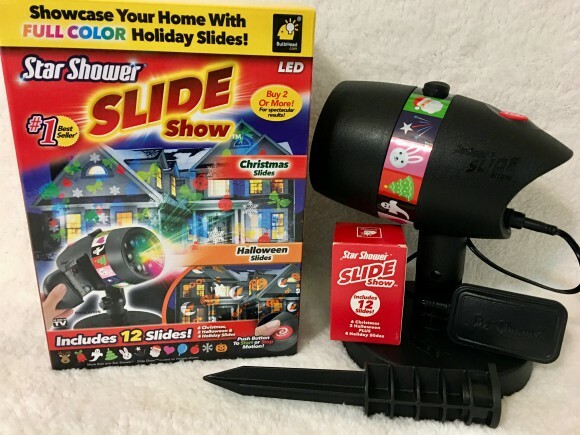 It comes with twelve different holiday slides so it's useful year round for all of the holidays. No more running strands of lights around trees, or hanging them from the gutter of the house only to take them down after a few weeks of use. And if you're like us you might even want to pick up something for "Fido or Fifi" for the holidays too. 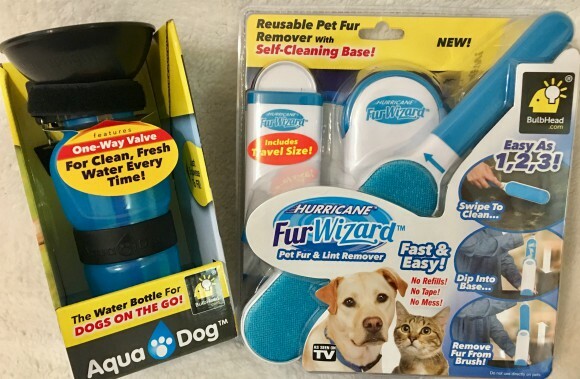 Well BulbHead has you covered with their awesome selection of pet products. Now that's what I call a one-stop-shop. And because their store is online you don't even have to leave your house (or you're pj's) to shop.